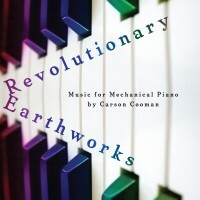 Three Canons for Mechanical Piano (2009) is dedicated to Thomas Brodhead. The work is a set of three canonic pieces designed to be performed by a mechanical (player) piano (e.g., Yamaha Disklavier or PianoDisc). Each of the three movements employs canonic procedures and unfolds at a brisk tempo. In the first, A Watermelon Rondo, the melody circles back on itself frequently. In the second, Pleading the Fifth, both canonic voices are doubled at the interval of a fifth. In the third, Faster and Commander, the melody continuously gains in speed and momentum. A slow harmonic progression in the middle register builds force to the conclusion.